When your home requires new rain gutters, using the services of Winter Garden Seamless Gutters is the best way to keep water damage away. We are licensed and insured. You can rest assured that your new seamless gutters and guards will match your home flawlessly. Look no further for high-quality gutter installation. Winter Garden Seamless Gutters specializes in gutter system installations, gutter repair and gutter cleaning. Did you know that rain gutters on your home are just as vital as suitable roofing, siding and windows? Gutters help direct rain water at least 5 feet from your home’s foundation and if not in place would cause unfortunate damage from excessive water build up. We at Winter Garden Seamless Gutters take great care and pay special attention throughout each and every gutter installation. We guarantee your new gutter system will drain more efficiently, stay cleaner, and safeguard your home to water damage and mold. Seamless aluminum gutters are the most favored gutter systems and are available in a number of different colors. In most cases, seamless gutters can be made and installed in one day. We perform gutter installation to the highest industry requirements and use only top quality, long lasting materials in off of our gutter systems. why do you need a gutter system? Seamless gutters can enhance the look of your home and are some of the most vital elements of your home. But gutters aren’t just decorative – they’ve got a crucial job to do and in many cases are overlooked. A properly measured and installed gutter system moves water away from your home’s exterior foundation. Old, worn gutters are not only an eyesore, they might be directing rainwater where you don’t want it to go. The best way to protect your home from water damage is with rain gutters. Excess water from rain can cause damage to the eaves and walls of your home. In addition, this excess water can ruin your landscaping and driveways. Redirecting water by using a gutter system will save you plenty of headaches and a lot of money in repairs in the future. 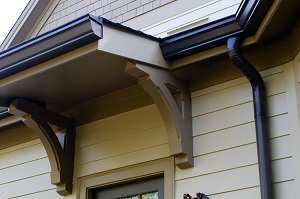 Many people probably never notice the rain gutters and downspouts on their home. 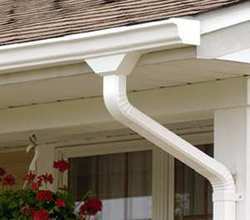 Gutters and downspouts play an important role in the general maintenance of your home. A major objective of gutters is to catch rainfall from your roof structure and drain it away from the foundation. Without having properly working gutters, pools of rain and debris from and foundations get moist. Water seeps into your yard and into the underlying sand. A large amount of damage may result, costing hundreds or thousands of dollars. Being a full service gutter company means that we are able to perform a full range of gutter repairs. Our technicians are trained to spot problem areas with your current gutter system that can easily be overlooked by any homeowner. Be sure to check out your gutter system periodically. While you stroll around your home, search for signs that the gutters need to be replaced. 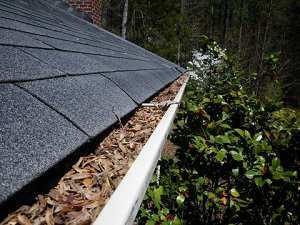 For instance, clear signs like damaged gutters or gutters that are coming apart at the seams. Also look for obvious signs such as sagging gutters. Sagging gutters could possibly be blocked or warped, or they may not have been installed with sufficient hangers. Search for signs that water is spilling from your gutters onto the ground or siding. This is a positive indication that something is wrong. 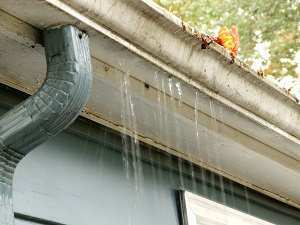 Damaged, warped or sagging gutters will affect water drainage off your roof. Gutter cleaning is essential for maintaining your home, particularly if your home is surrounded by trees. Unfortunately gutter cleaning may take a backseat to more demanding home repairs. Nobody likes cleaning their gutters, however it is an important piece of owning a home. If you want to protect your home’s foundation and structure, you should clean your gutters at least twice a year in Florida. You will need to thoroughly clean your home’s gutter system in the fall when many of the leaves have fallen and again in the spring. If getting on your roof is not appealing to you, contact Winter Garden Seamless Gutters and we will get the job done for you. Let Winter Garden Seamless Gutters help you protect your gutters and your home with dependable services. 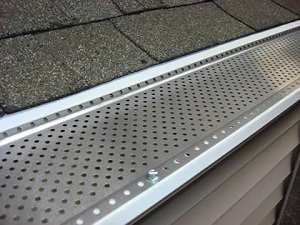 Call us at (407) 992-8763 to start your planning with a free quote for your new seamless gutters.